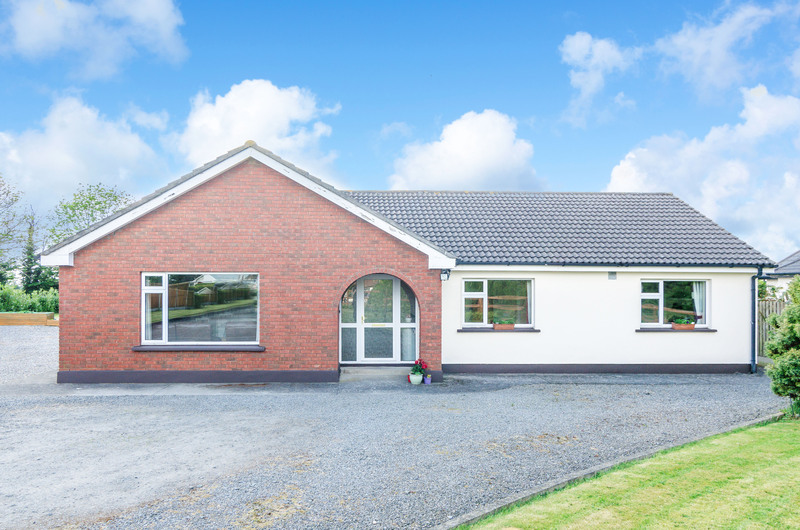 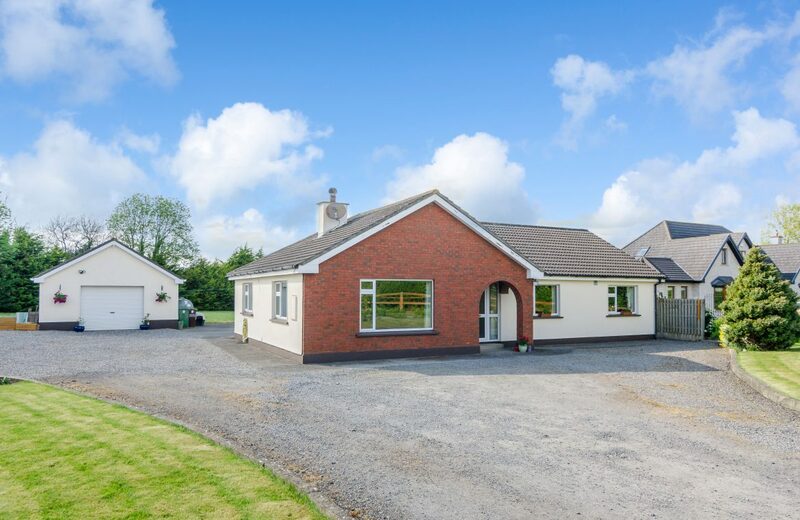 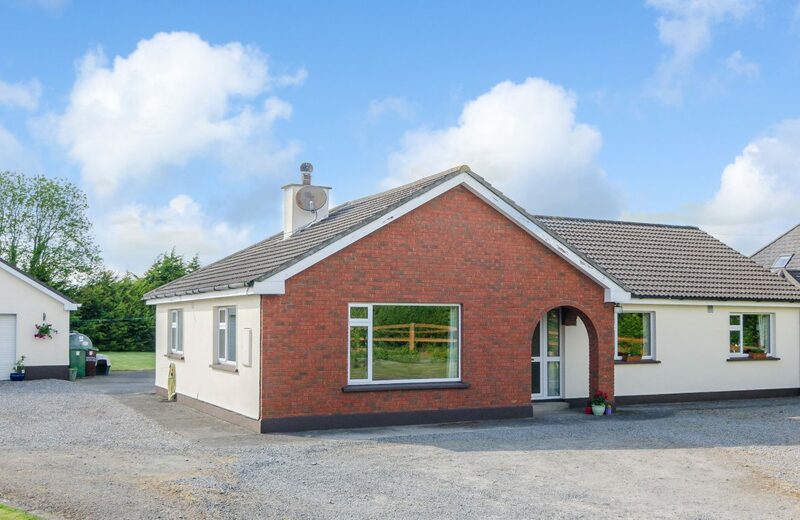 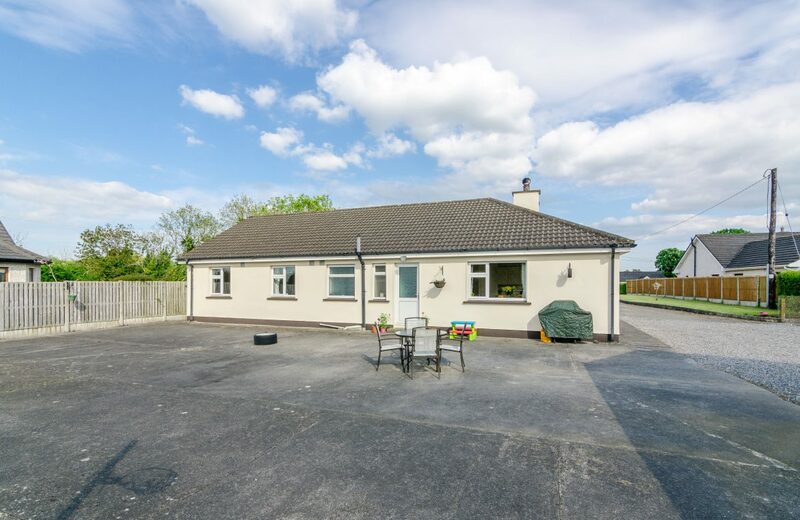 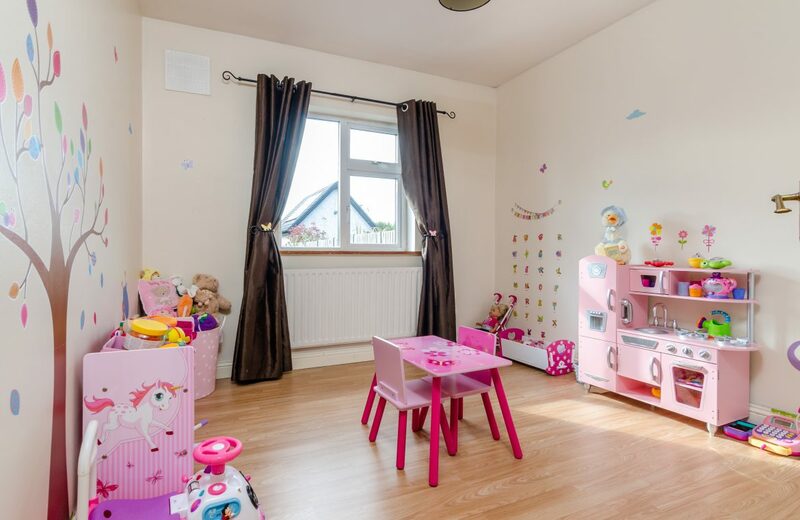 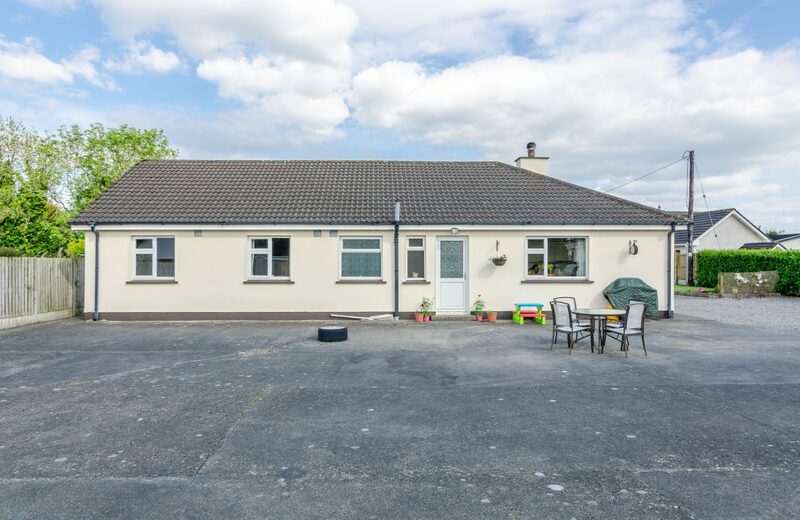 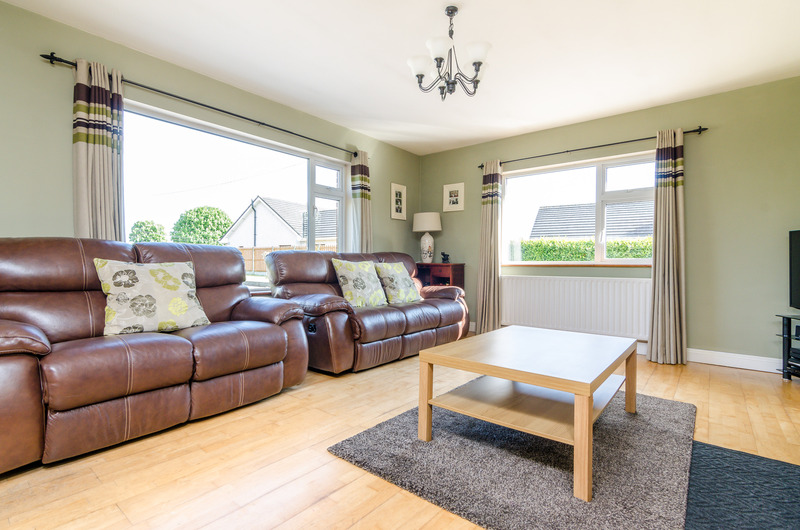 KELLY ESTATES and LETTING AGENTS are delighted to present this four bedroom detached bungalow on c. 0.6 acre of landscaped grounds with a large detached garage, situated in the beautiful and secluded location of Brownstown in Newcastle, Co. Dublin. This is a spacious detached home with beautifully proportioned and light filled accommodation on c.0.6 acre of private gardens. 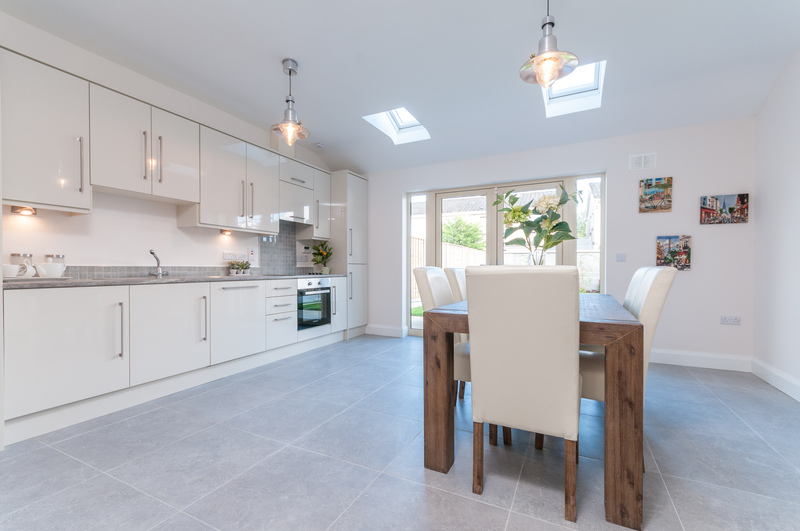 One is welcomed by an impressive hallway from which leads to the living room, kitchen and four double bedrooms.The kitchen is a fantastic, modern, bright room with white kitchen press units and plenty of space which will allow you to wine and dine your friends and family in beautiful surroundings. 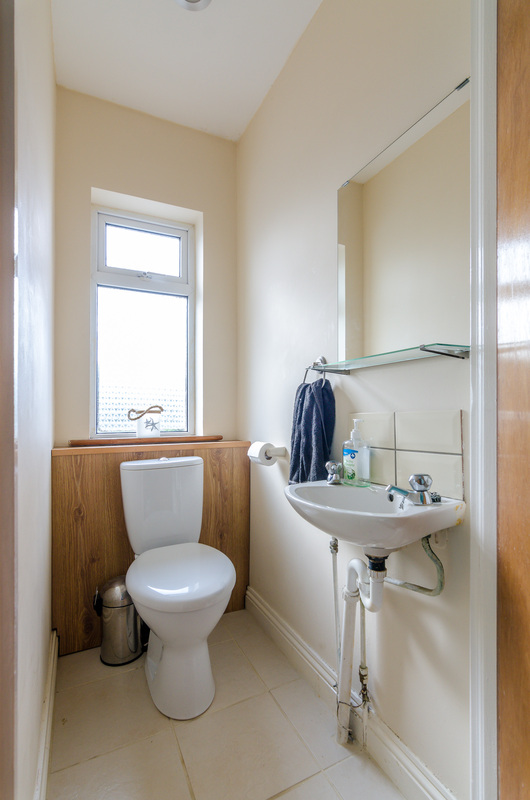 The accommodation extends to c. 1,200 sq. 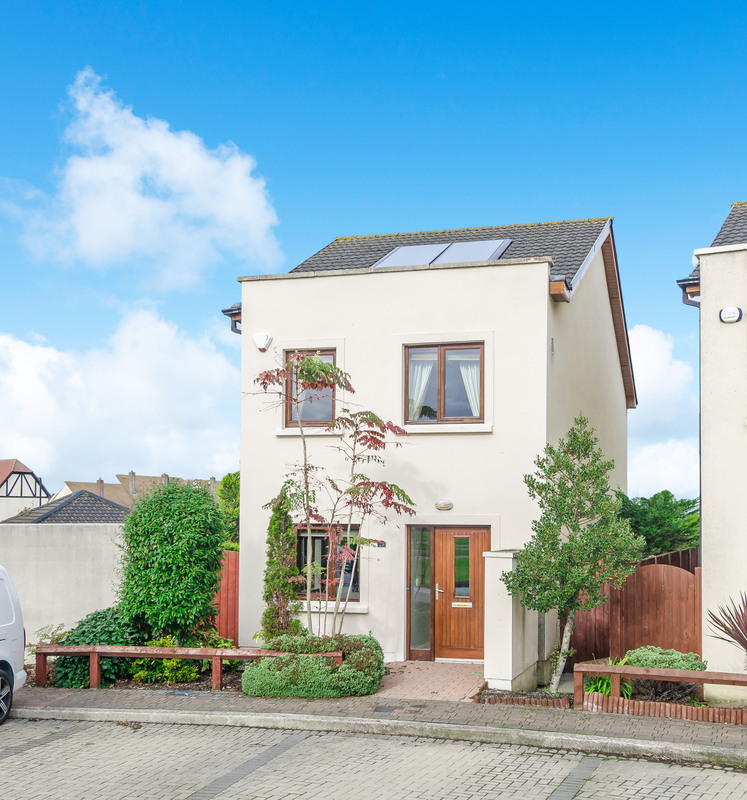 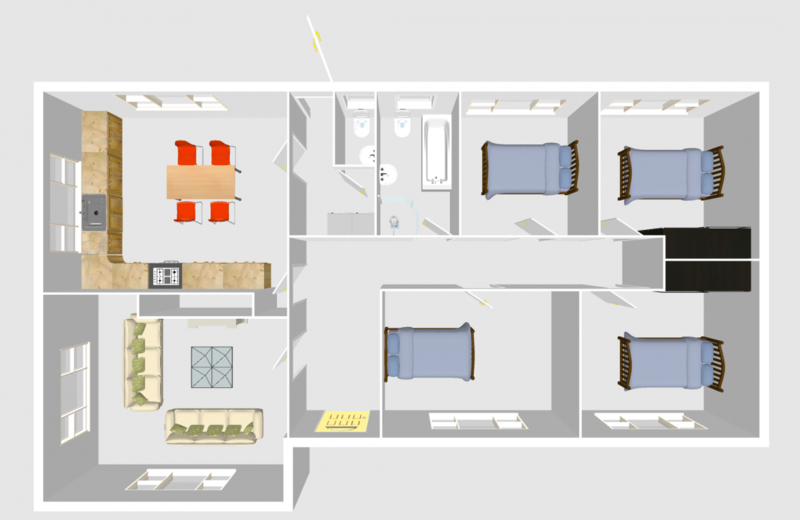 ft and includes four bedrooms (master en suite), Living room, Kitchen and family bathroom. 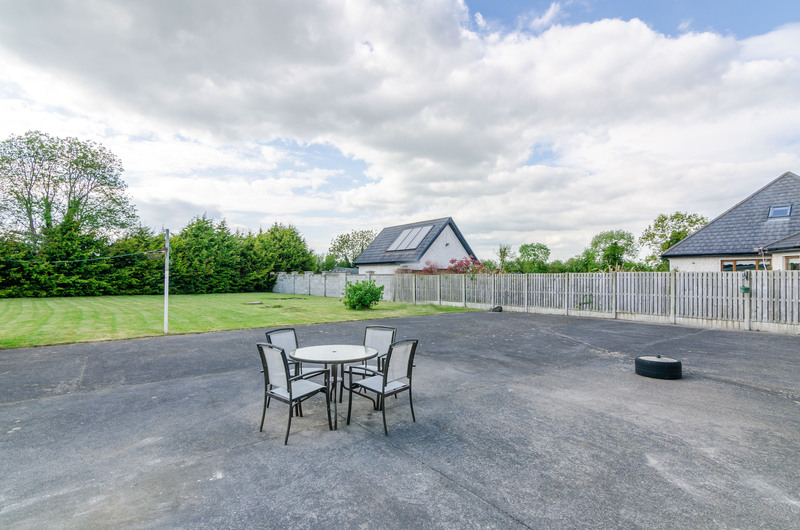 Outside at the back of the house there is plenty of storage in solid built garage. 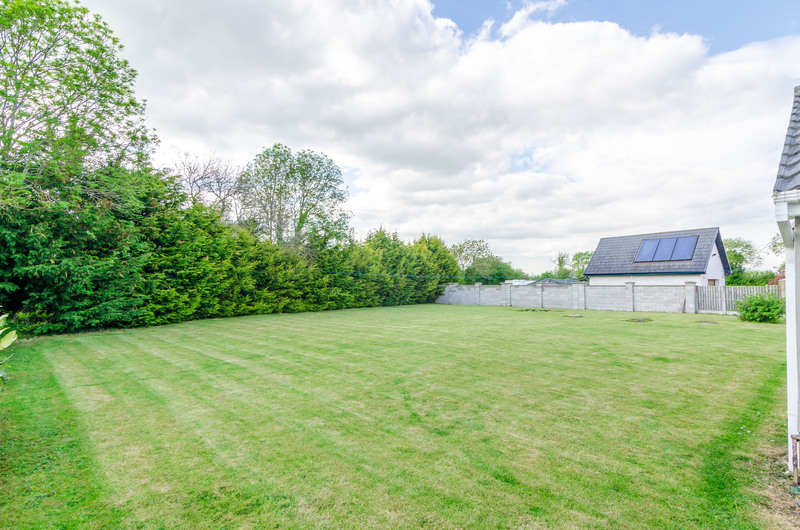 The lawn goes right around the house and is very private at the back allowing maximum privacy & security. 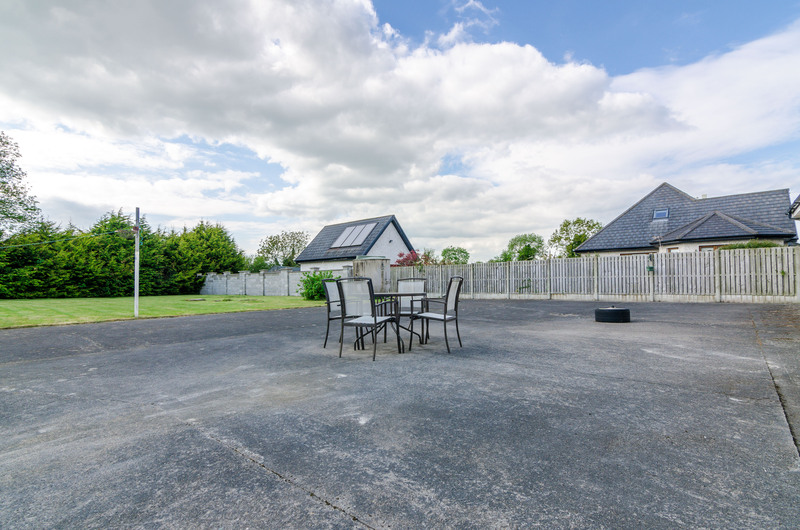 Beside the house sits the large detached garage, which provides an ideal opportunity to extend the main house to the garage to achieve maximum space upon approval of planning permission. 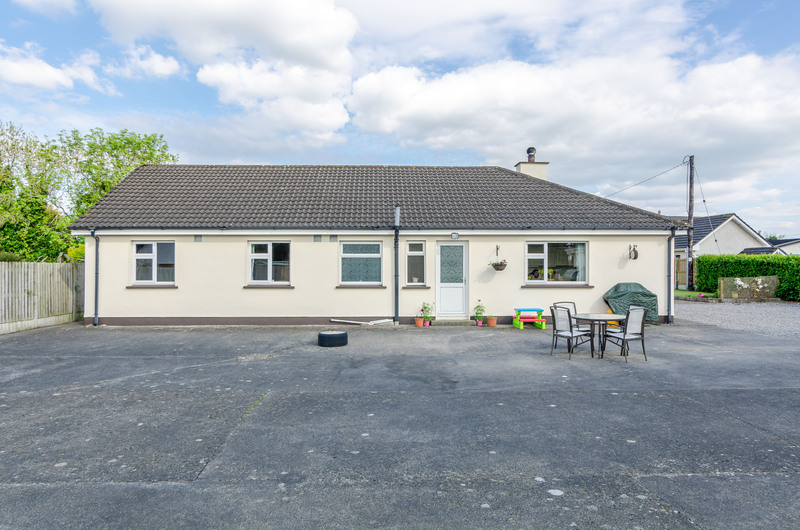 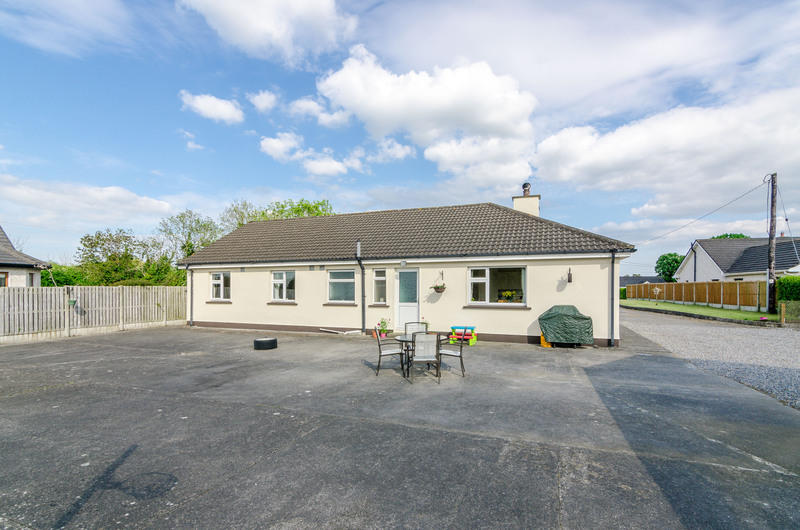 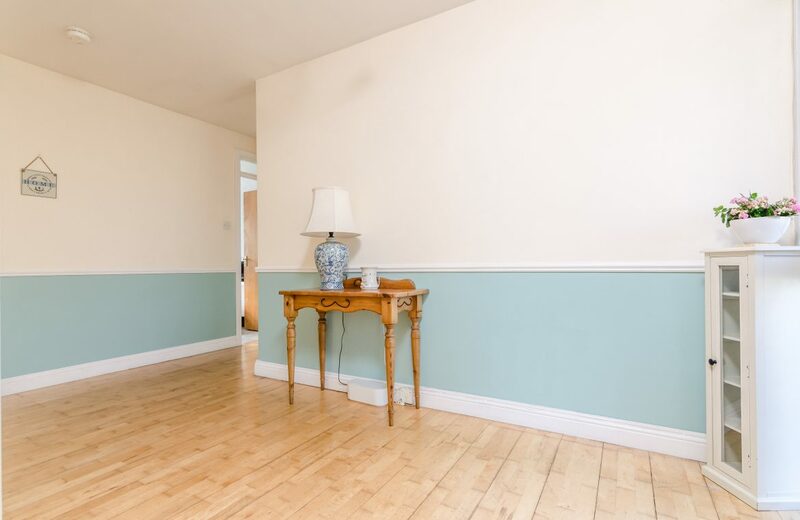 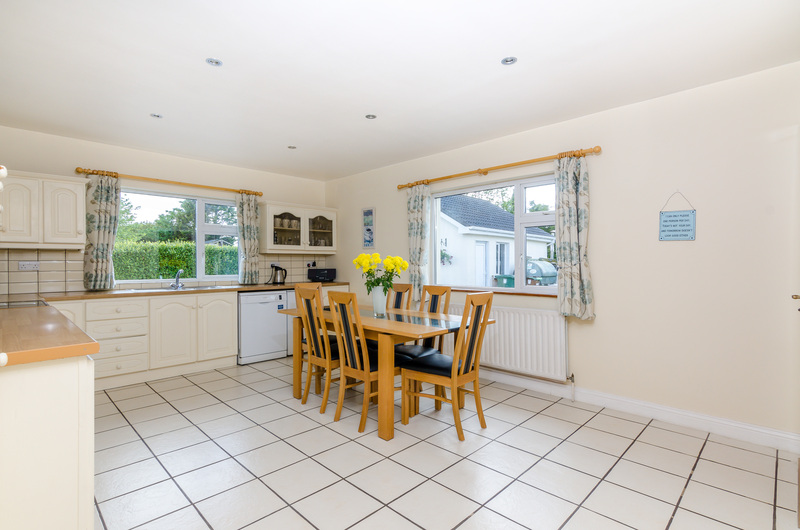 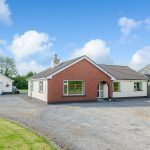 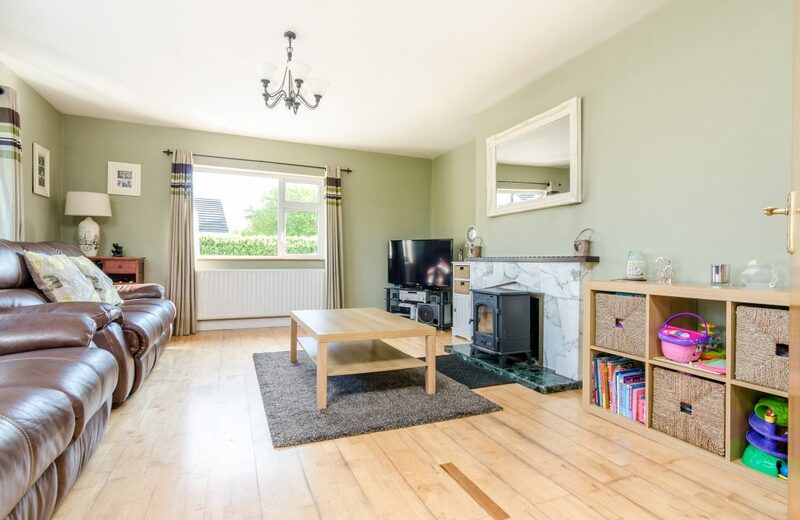 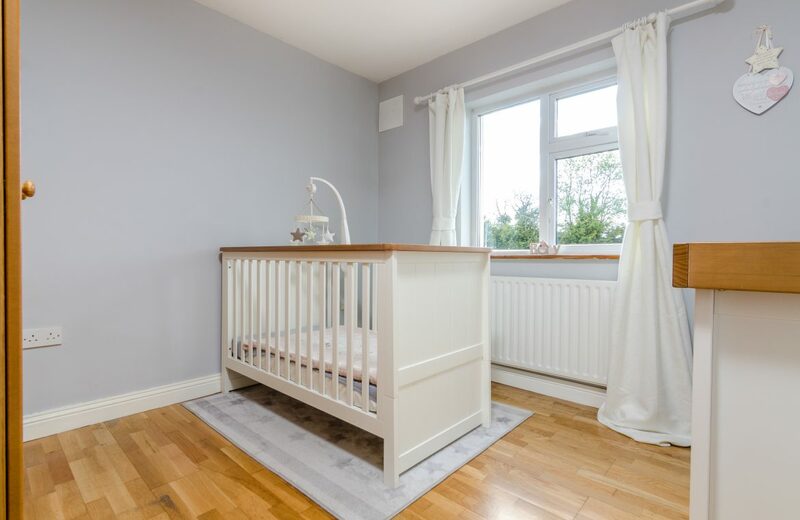 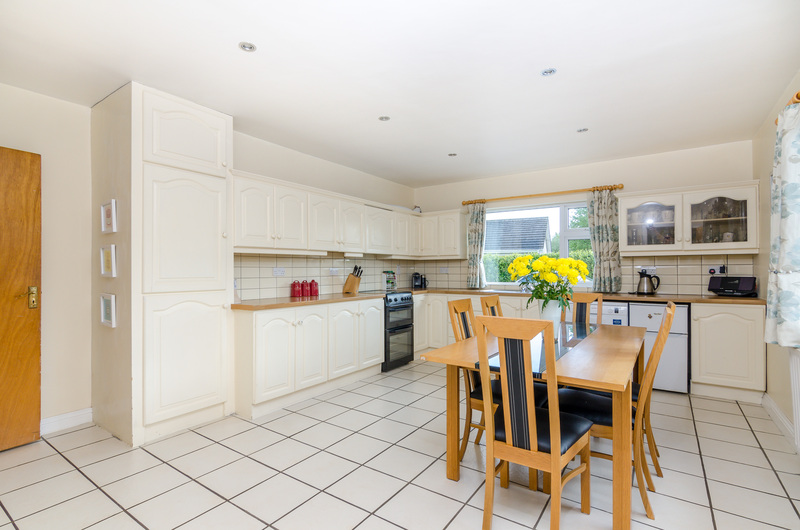 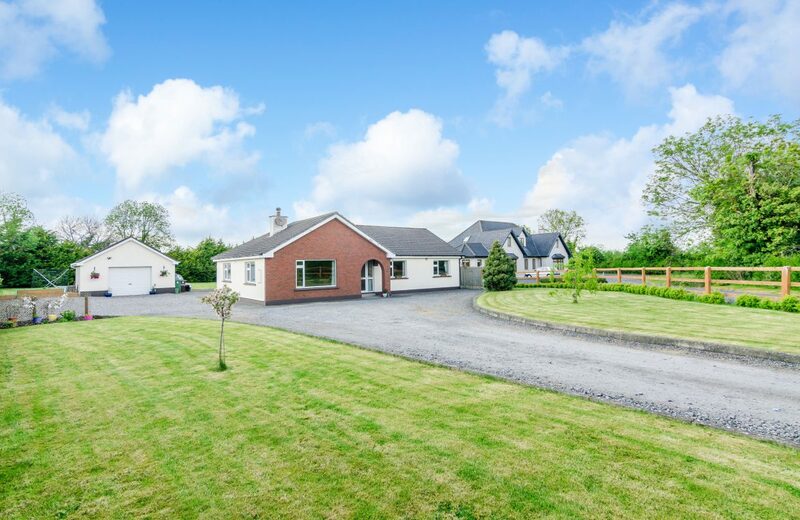 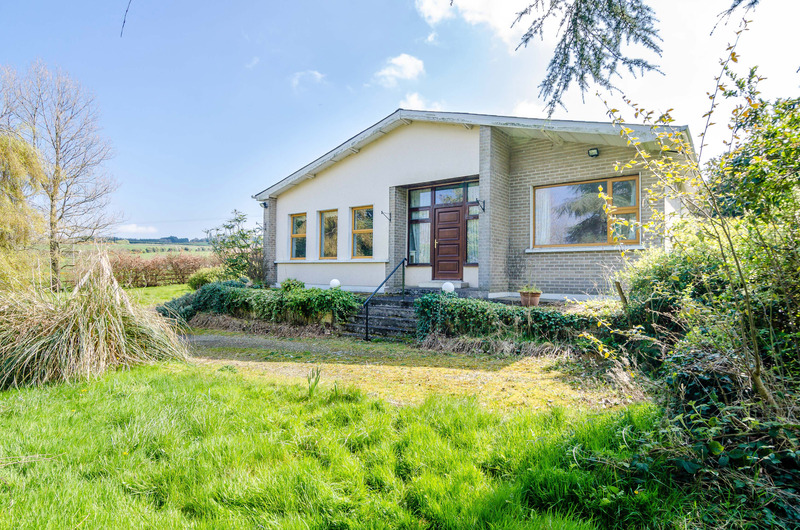 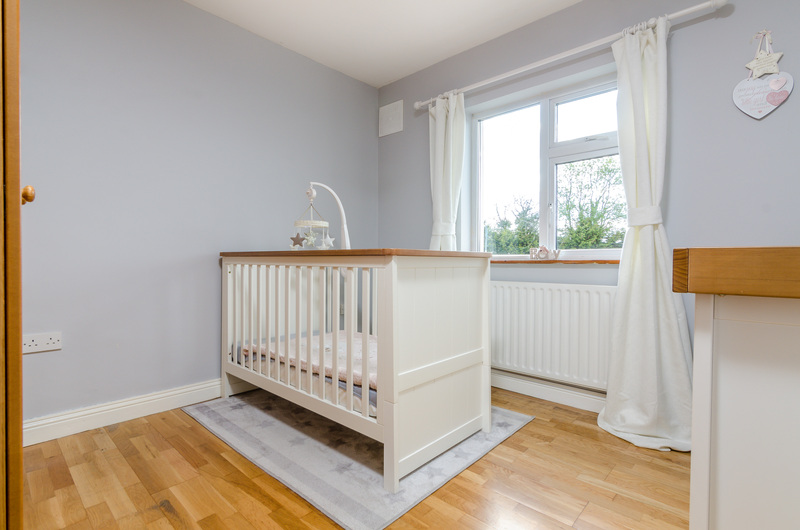 Located in a quiet country setting only 3km from Newcastle Village, 4.5km to Celbridge, Only Minutes from Hazelhatch train station & the N4, N7 & M50 are near by. Castlewarden golf and country club is a few minutes drive away if you fancy a game or a meal. Newcastle and Rathcoole villages are close by with Rathcoole Village just five minutes away if travelling by car. 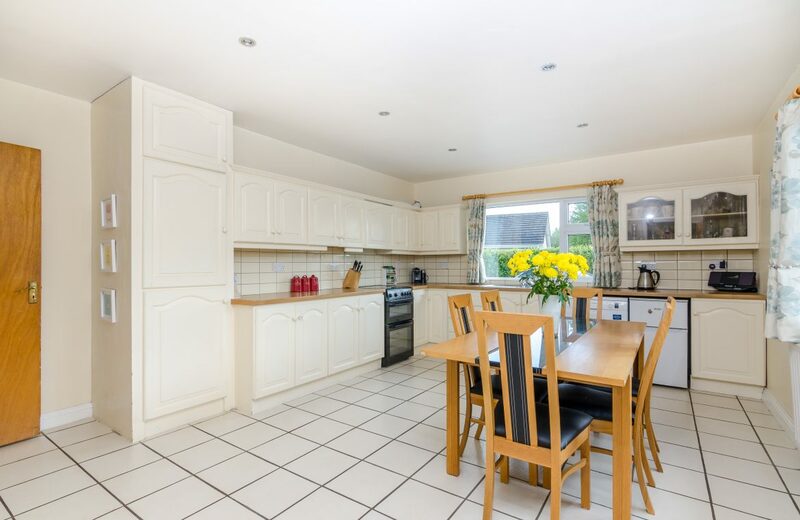 Kitchen/Dining area: (3.96m x 5.15m) cream kitchen press units, drawers, saucepan drawers, worktops, tiled splashback, stainless steel sink unit, tiled floor & window overlooking back. 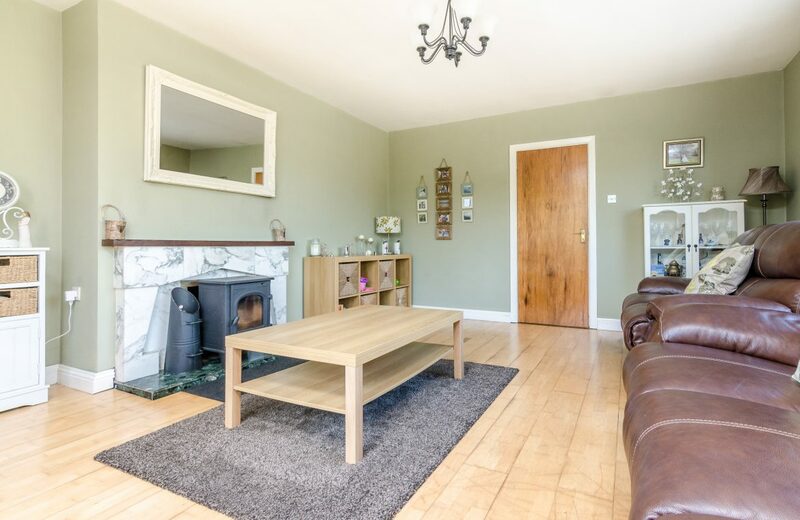 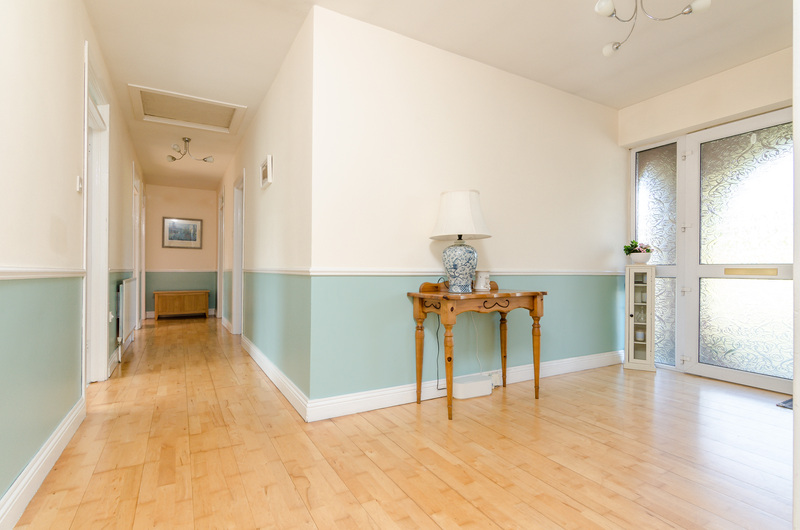 Living Room: (4m x 5.16m) wood floor, white marble feature fire place, stove, window overlooking front. 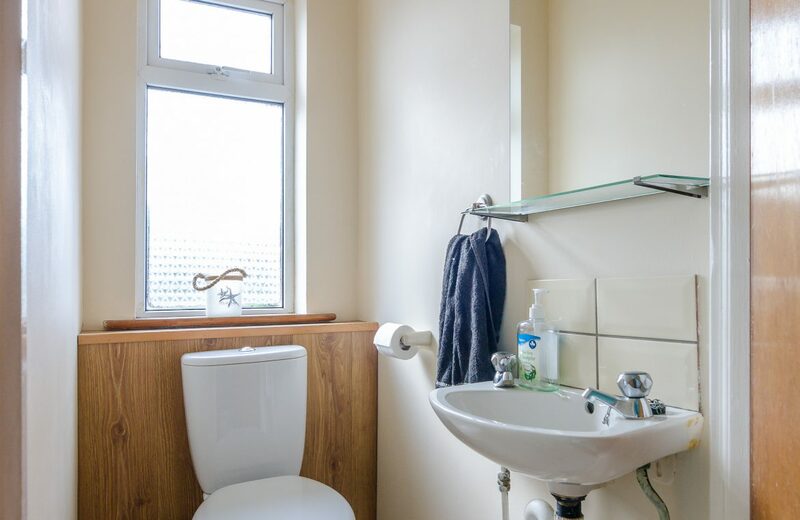 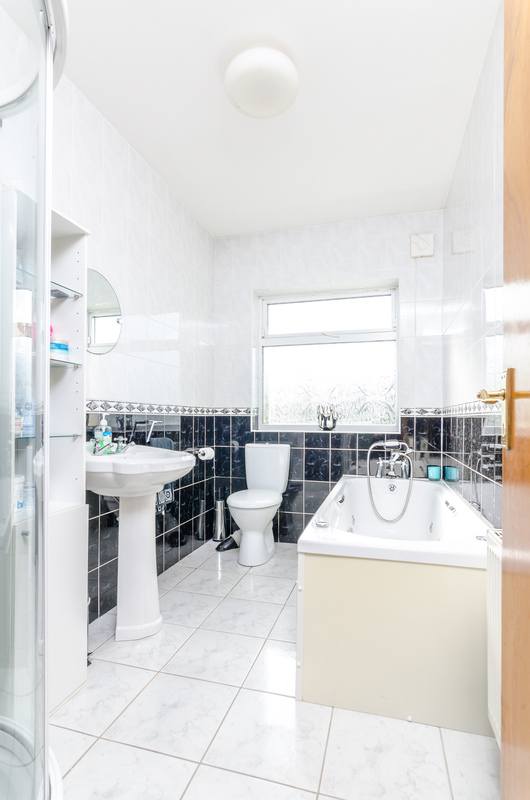 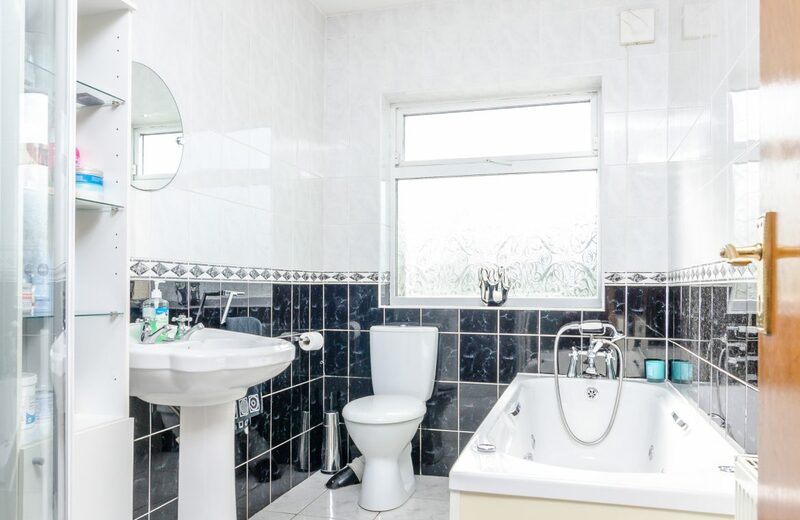 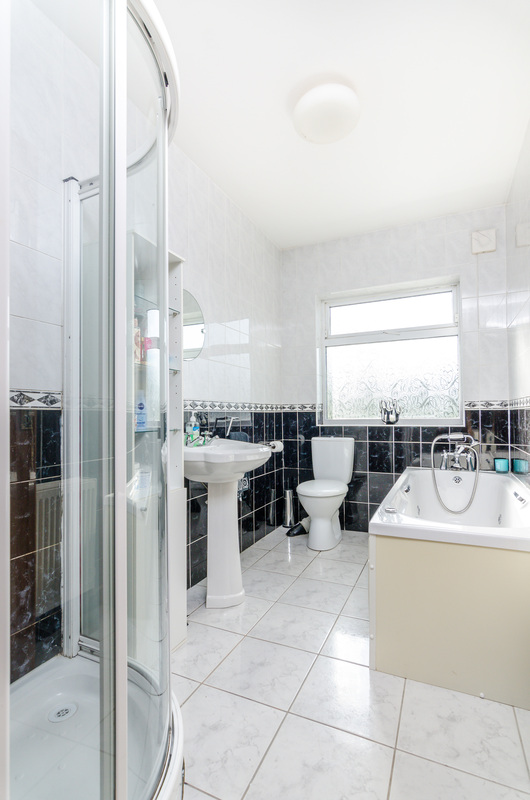 Bathroom: (1.75m x 3m) with bath, w.c. wash hand basin, tiled floor, tiled walls, corner shower cubicle. 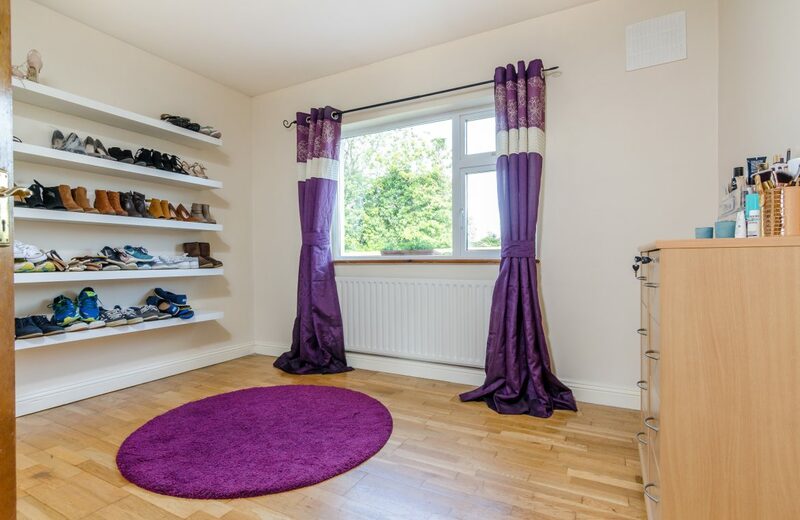 Bedroom 1: (4.18m x 3.03m) wood flooring, built in wardrobes & window to front. Bedroom 2: (3.52m x 3.03m) double room with wood floors & window to front. 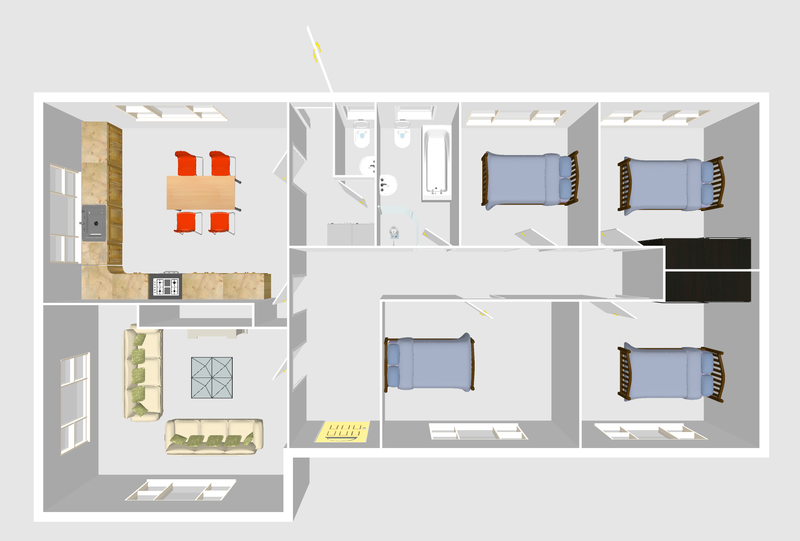 Bedroom 3: (3.02m x 3.31m) double room with wood floors & window to the back. 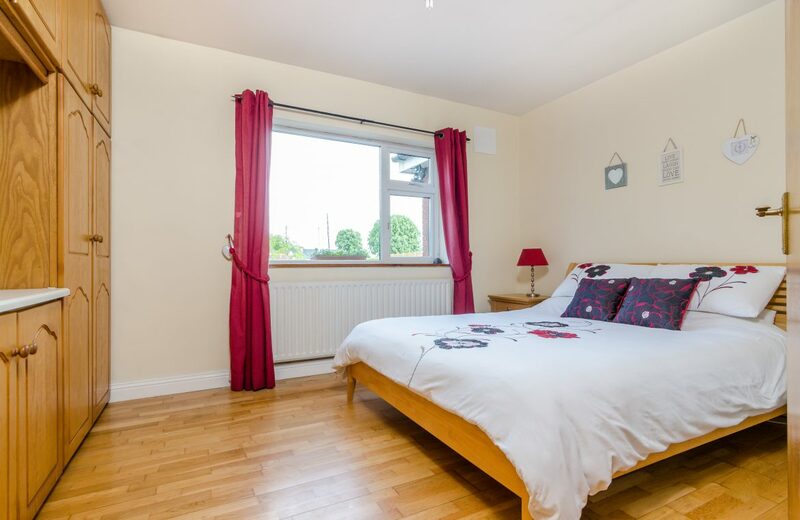 Bedroom 4: (3.02m x 3m) double room with wooden floors & window to back. 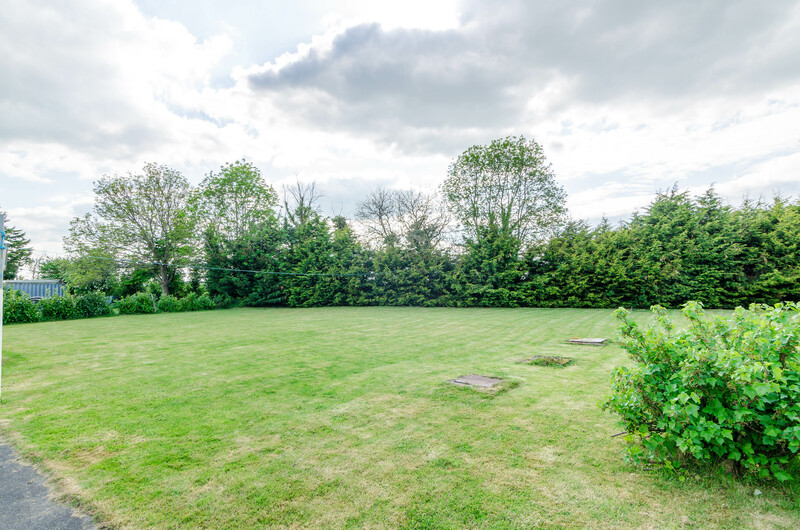 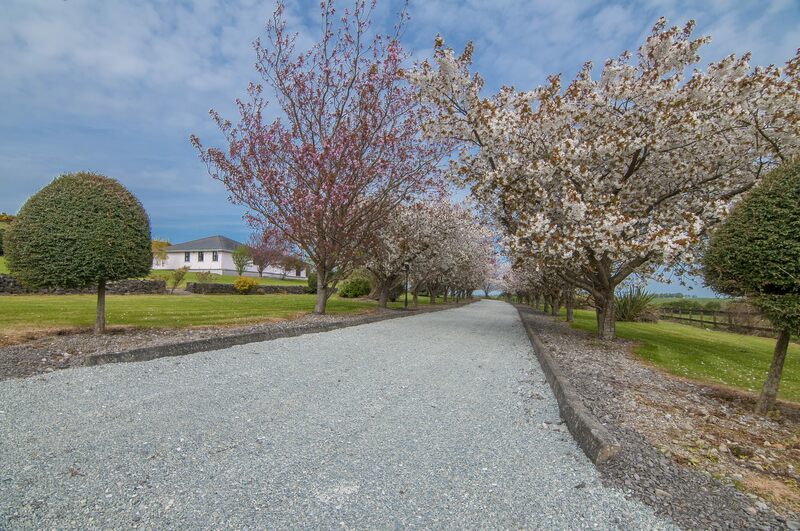 >> c. 0.6 acre of landscaped grounds. 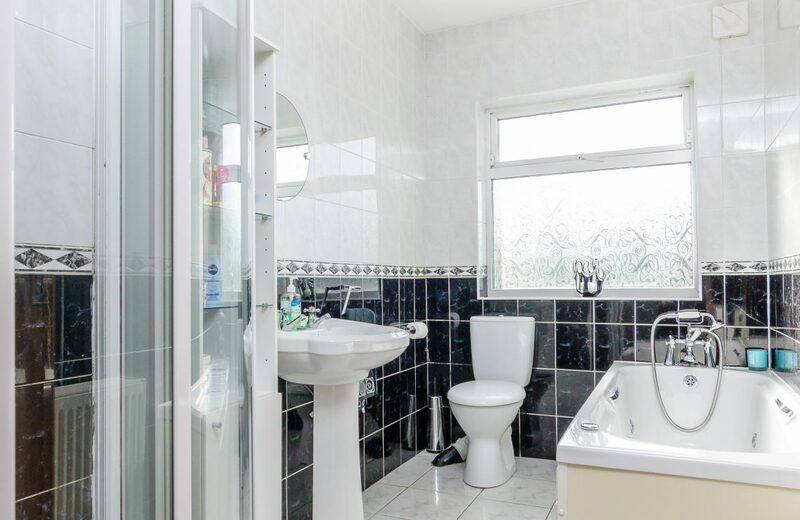 >> Oil Fired Central Heating.